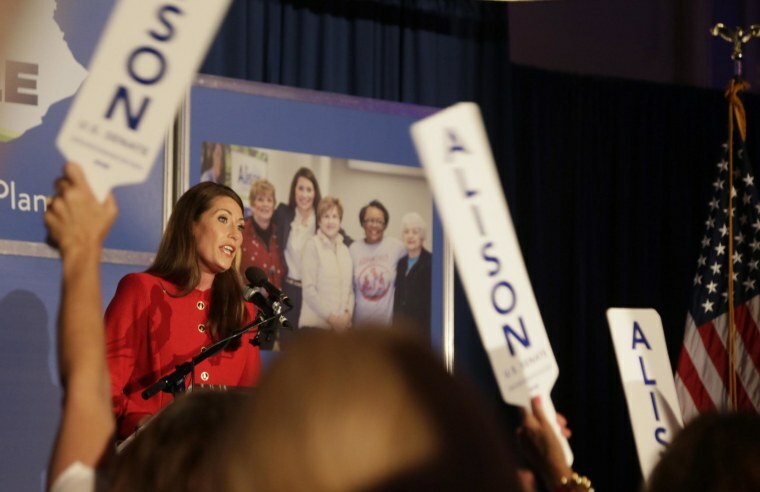 Kentucky Senate Democratic candidate Alison Lundergan Grimes, who's running against Senate Minority Leader Mitch McConnell, called Thursday for the resignation of VA Secretary Eric Shinseki. "We owe a solemn obligation to our veterans, and our government defaulted on that contract," Grimes said in a statement. "I don't see how that breach of trust with our veterans can be repaired if the current leadership stays in place." Two Georgia Democrats - Reps. John Barrow and David Scott - became the first in the president's party to call for Shinseki's resignation on Wednesday. Several dozen Republicans have also urged his ouster. Grimes has been working to create some distance between herself and the president, who is deeply unpopular in her state of Kentucky. "President Obama is not on Kentucky's 2014 election ballot," Grimes said when she accepted her party's Senate nomination on Tuesday. "Nothing about this election will change who is in the White House, but we can change who is in Washington, D.C. and finally put someone for the Commonwealth of Kentucky."